Don’t be surprised if someone in Pristina stops you on the street, asks where you’re from, and tries to invite you for a coffee. The capital of Kosovo is one of the most welcoming places in Europe, where a stranger is just a future acquaintance and hospitality is taken seriously. This is how the Paste Magazine, a leading online arts and lifestyle brand in USA, describes Kosovo, the newborn destination. 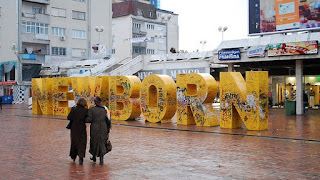 The author Valerie Hopkins, writes about two days tour in Pristina showing the most important places to visit, the restaurants and bars, and between the lines you can understand the history of Kosovo after the war. " 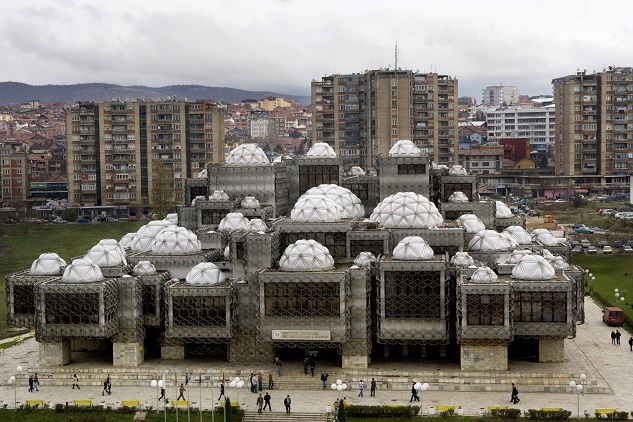 Pristina is also the capital of the youngest country in Europe—both by Declaration of Independence (February 2008) and by age of population (70 percent under 35). The city has emerged from the destructive wars of the 1990s and become a bustling capital teeming with trendy 20- and 30-somethings, cafes, clubs and restaurants. It’s still rugged; cars park on the sidewalks, construction is ubiquitous, and you’ll see the occasional carload of U.N. troops. But make no mistake, Prishtina is safe and welcoming. It’s an easy place to make friends—more people speak English than in many other European capitals—and because Kosovo is the only country west of Belarus that requires a visa to visit European Union countries, locals are keen to chat with foreigners"
For breakfast, hit Trosha, just off Nene Tereza (Mother Theresa) Boulevard, to try a gjevrek, a Turkish-style bagel served with soft and creamy feta-like cheese. Or, if you’re really hungry, grab a byrek, flaky phyllo dough with various stuffings like minced meat, cheese, spinach or pumpkin if it is in season. Fortified, stroll down Nene Tereza, central Prishtina’s main street and lifeline. At one end, the behemoth Yugoslav-era Grand Hotel towers above a square named for Zahir Pajaziti, a soldier in Kosovo’s war with Serbia (1998-1999). At the opposite end, in front of Kosovo’s new government building, a statue stands of Albanian national hero Skanderbeg on a horse, brandishing a sword and wearing a helmet with a goat on it. Head past Skanderbeg and a statue of Kosovo’s first President, Ibrahim Rugova, who championed nonviolent resistance during Serbian repression of ethnic Albanians (which make up 90 percent of the country’s population) in the late 1980s and throughout the 1990s. Then pass the Carsi Mosque to the city’s open market. Walking down Xhemajl Prishtina Street to the entrance to the complex you’ll see store after store selling ornate traditional bridal garb, which is still worn by many bridal parties in Kosovo. Wander the stalls selling fresh fruit and vegetables, homemade cheese and olives out of barrels and nearly every other product and souvenir-esque trinket. In the market, check out Qebaptore Shaban for a quick traditional but hearty lunch. Qebapa are Kosovo’s version of kebabs, served with soft bread, onions, and dried red pepper. You can also try the qofte, succulent flattened meatballs. Not far away, the ethnological museum Emin Gjiku, situated in a beautiful old estate showcases what life was like for a family during the time Kosovo was part of the Ottoman empire, with rooms richly decorated with hand-woven carpets, traditional garb, and exhibits about cultural beliefs and traditions. If you want an elegant après-meal drink head to Soma Bookstation, a recently opened bar and bookstore where Prishtina’s well-heeled go to be seen and admire all the others who want to be seen. If you’re into something a little less scene-y and a bit quirkier, check out Dit’ e Nat’, or Night and Day, the coziest café in Kosovo, which also happens to be a great place for morning coffee; afternoon reading; or chatting with the students, artists, and activists who hang out there. After 11 or 12 walk down the street to Maroon pub, a club where you can get your fill of Kosovo pop tunes, gyrating women and laidback men, then head around the corner to Zanzi Jazz Bar, which heats up after 1 a.m. and often has live music. Pick up a macchiato and a bun or sit down for some waffles with a chocolate hazelnut topping at Sach Caffé on Bill Clinton boulevard. A few blocks away, check out the 10-foot statue of U.S.A.’s 42nd president. Keep an eye out for the Hillary boutique nearby. (Yes, they do sell ladies pantsuits.) Clinton, along with Americans in general, is popular in Kosovo because of the leadership in the NATO bombing campaign that ended the war with Serbia. Less than 10 percent of Kosovo’s population consists of ethnic Serbs. Three miles from Prishtina is the majority Serb town of Gracanica, named for its UNESCO World Heritage monastery. Built in the 14th century, the three-domed nave is covered wall-to-ceiling with ancient murals depicting bible stories like the Last Judgment and the passion of Christ. A taxi from the center of Prishtina costs about 5 euro. Strolling around town you will notice that all the signs are in Serbian, rather than Albanian, and though euros are accepted everywhere, so is Serbia’s currency, the dinar. Not far from the monastery in both directions is Hotel Gracanica, a brand new Swiss-designed hotel with a pool. The hotel’s restaurant serves a simple menu of elegant traditional food and Sunday offers a hearty brunch for 10 euros consisting of seasonal treats like peppers stuffed with meat and rice, omelets with leeks and homemade byrek. If you’re more in the mood for Old World tradition and a hearty pork-based meal (pork is hard to find in Prishtina, because the majority of its population are nominally Muslim, though many people who don’t eat pork do drink alcohol) head instead to Ethno Kuca. There you can try the slow-roasted pork with cabbage, the lamb roasted traditionally in a cast iron pan over an open fire, and fantastic spicy peppers in garlic sauce. When you’re back in Prishtina hit up MaBelle to try Trileqe, Kosovo’s own take on Tres Leches, a milky caramel cake sensation. Lots of local food is similar across the Balkans, but Trileqe is more or less unique to Kosovo. Mother Theresa street comes alive in the early evening and if the weather is nice, the whole city will be out walking. Settle into Taverna Tirona, on a little side street off the pedestrian area known to locals as “raki street” because of the prevalence of joints serving up the local spirit. Tirone, decorated with pictures of old Pristhina, is a delightful place to sip wine, beer or raki in the early evening. They also have a fine menu of mostly finger food. For a good meal, a few blocks down on Qamil Hoxha street is Shpija e Vjeter, or “the old house,” a restaurant built around a beautiful old wooden house. Make sure you try the homemade bread with ajvar (a red pepper and eggplant spread) and the sallate shop, or shepherd’s salad. If you’re in the mood for electronic music head to MegaHerz. For the real party animals, Shalter, a club at the old train station, stays open until 4 a.m.
A central hotel favored by traveling businessmen and diplomats, Sirius is in the very center of the city. While the décor and accommodations are pretty standard, Sirius has a rooftop restaurant with nice views of the city and the location can’t be beat. Rooms start at 85 euros. Undoubtedly the coolest hostel in Prishtina, The White Tree is also a hangout spot for members of the city’s creative types, because of the cozy outdoor space. The rooms are simple hostel style, but the owner is welcoming and it is an easy place to make friends. Beds cost 9-12 euros and a private room is 15 euros per person. Because Serbia does not recognize Kosovo’s independence, travel for people without national ID cards, like most American passport holders, can be tricky. If you enter Kosovo from Serbia and wish to return to Serbia, this should be no problem. However, if you fly directly into Kosovo, or enter via another country like Albania or Macedonia, Serbia will not admit you. Just something to take into consideration when planning a trip.